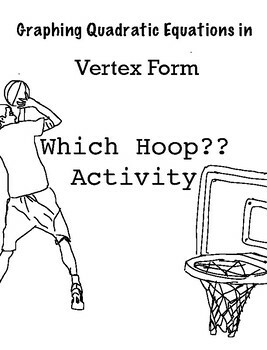 In this activity, students are given five quadratic equations written in vertex form. 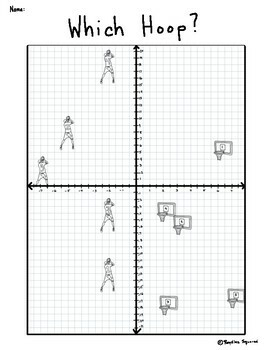 They will graph the five equations onto a coordinate plane that includes 5 basketball players and 5 different hoops. 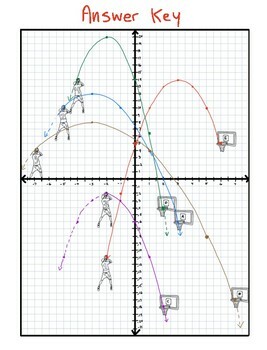 If graphed correctly, each parabola will pass through exactly one player's ball and one hoop. Which hoop will it hit? In my experience teaching Algebra and Algebra II, students tend to gravitate towards drawing parabolas that lack attention to detail and precision. This activity is designed to get students comfortable with evaluating functions for different values of x while also becoming more familiar with the vertex form of a quadratic equation. 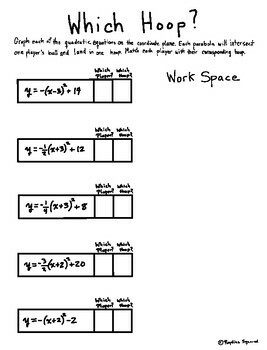 The goal is for students to produce QUALITY graphs that describe their function. This activity contains an answer key as well as a version with a few more supports for struggling students. I'd love to hear any feedback on this activity as well as any of the other items I have posted to TPT.